What a beautiful morning it is here today!! 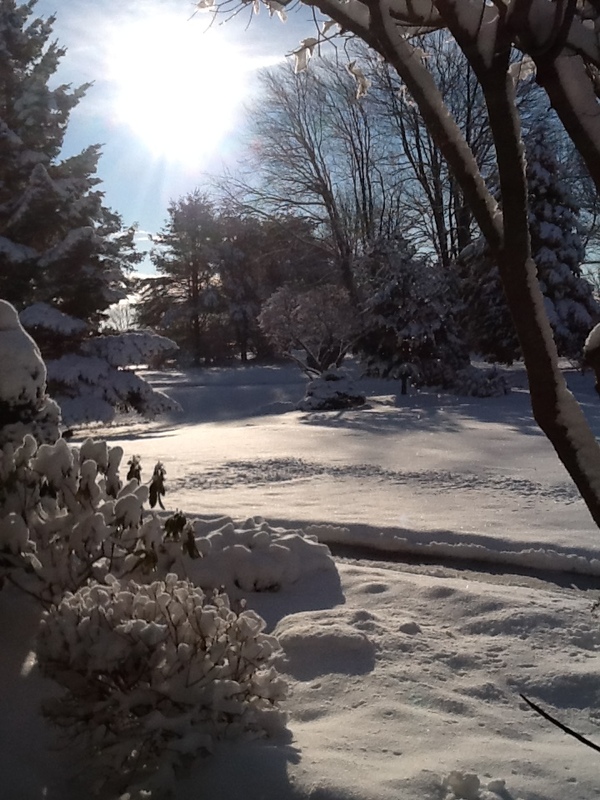 It is a bit chilly but the sun is shining so brightly and the snow is so pristine. The perfect day for a big bowl of soup and piece of homemade bread. 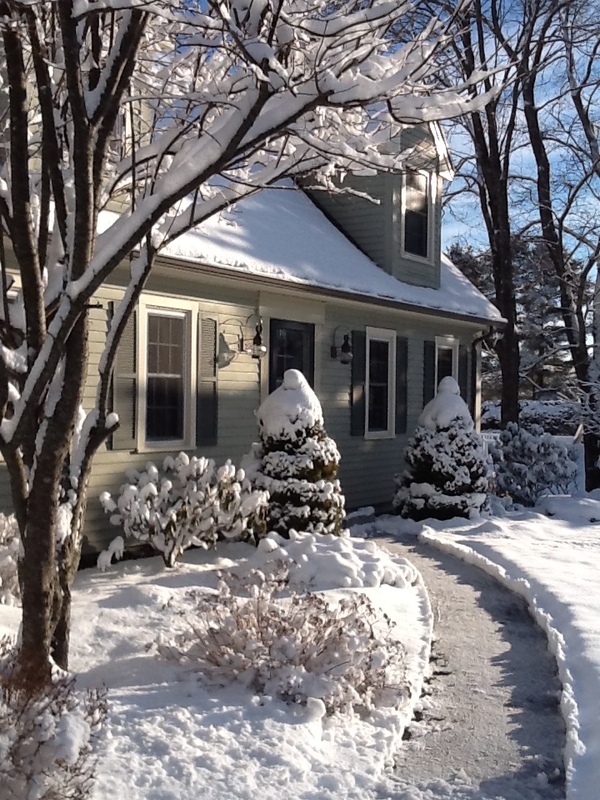 Chuck was out of town last night and I hate to have a driveway covered with snow – so I dragged the snowblower out and got the driveway and sidewalk cleaned up. Thank goodness the snowblower is self propelled, it is so heavy that I never would be able to push it around with out that feature. Coat Chicken breast with olive oil – sprinkle with kosher salt and fresh ground pepper. Place in roasting pan skin side up and roast for 45 mins or until done. Heat oil in large stock pot – add onions, celery and garlic. Cook until soft. Be careful to not let the garlic burn – it will get very bitter. 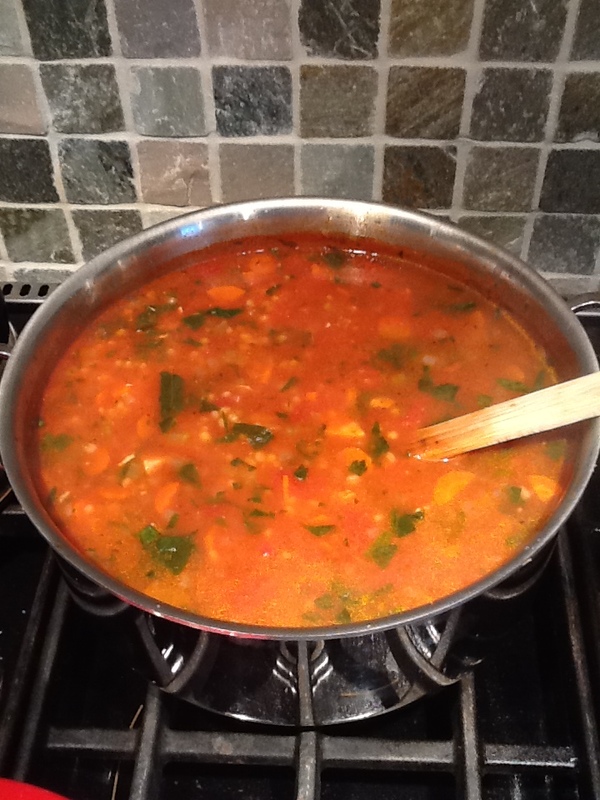 Add chicken broth, both cans of tomatoes, chopped spinach. Once the chicken is cooked – let it cool a bit then cut it off the bone and dice into 1” pieces. You can also shred it if you prefer shredded chicken in your soup. Add barley – bring to boil. You made need to add a bit more broth or water after barley is cooked – it absorbs a lot of the liquid. Add rinsed beans and chopped parsley. Add salt and pepper to your taste. Winter is so beautiful! 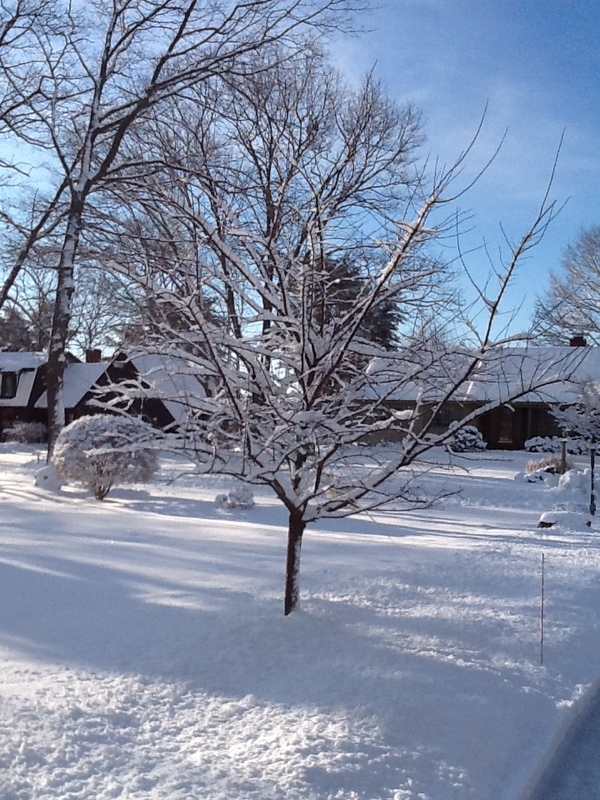 I love the snow on the tree limbs. Enjoy the view from your window if you are somewhere that is covered in snow. The view from my window is sparkling. Stay warm. ← EASY STREET almost done.. This is awesome,,,,,if I pay your airfare will you come and make all this delicious food for us po’ folk in Florida who NEVER see snow? Love your blog……..keep it coming sista!